My friend John has a great point about why many people do not find success with networking. It is because too many people are greedy. Sure, they show up at business events, but it is with the intention of pouncing on every potential client they can find. They never bring any value to share with others. He says that he sees it all the time. Business professionals show up at industry events like they are there to play a game of "Hungry, Hungry Hippos". Bam, bam, bam, bam....they attempt to take all they can without any concern for giving. Then these same people have the nerve to complain about the lack of executives in attendance at business events. Who can blame them. If a CEO or CFO pops his head into the mix at an event, he will get cold called by nearly a dozen bankers, lawyers, copier salesmen, etc... most of whom they never even met. They were spotted and are now seen as open prey to the aggressive person hungry for a sale. Additionally, few professionals ever bring their clients with them to meetings for fear they might meet a competitor. Come on, if you have a client you should know that you competition is already calling them, so hiding them away does no good for anyone. One of the best things you can do to improve your relationship with your customers and others is to invite them to join you at key industry conferences and networking events. It gives you the chance to share some quality time together, and allows you to show others in your network that you are helping to contribute to the success of the event by pushing the executive level attendance. John is the best at this. Rarely does he attend an event where he does not bring a few customers, prospects and other friends with him. In just a few years he has developed an amazing professional relationship and some deep friendships in town. He has rebranded his company as an important player standing alongs side law firms, accounting firms, consultancies, and other service firms. His friendships cross industry lines with people from the C-level suite on down. Why is John admired by so many? Because his lives in a world of surplus, not scarcity. He thinks everyone can win in business, and has no fear of his competitors knowing with whom he does business. He believes in his abilities and is willing to help others along the way to achieve success. He is an evangelist for those people in his network who he appreciates, and will talk people up with no direct pay off for himself. This has come back around and he is very successful. When you stop being greedy, you will be amazed how much more information and opportunity will flow toward you. The below is a guest blog post on yesteday's Austin Start-Up Blog. 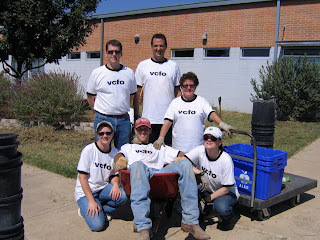 The guest blogger, Ellen Wood, is the CEO of vcfo, the company where I work as the Director of Business Development. I thought this short post was an important reminder for all entrepreneurs to make sure that you are properly documenting your business. While verbal agreements with partners, employees, vendors and customers are nice....you need to make sure that everything is in writing to avoid disagreements down the line. Start up Your Start-Up, But Don’t Forget The Documentation OR – Your Start up – Who owns it? Guest blogger Ellen Wood is the co-founder and CEO of vcfo, inc. With over 800 clients to date, and offices in Austin, Dallas, Denver, and Seattle, vcfo has been an industry pioneer and continues to be a leading provider of financial, human resources and systems implementation services to companies ranging in size from emerging to public. Have you documented your stock position? Co-founders, early employees, and funding sources often have a slice of the early company pie and it’s not unusual for some commitments to linger as verbal agreements among the team in the start-up phase. It can be a costly mistake to not document your ownership position as early as possible. The ideal time to take ownership if you are part of the founding team is at or shortly following formation, well before any outside events cast a valuation over the company. Many companies form with the required initial $1000 as capital. If you are a 20% co-founder at formation, then you would write a check to the company for $200 and have a certificate issued in your name. Some agreements provide for stock to be paid for by services, but that is subject to interpretation and look back and often involves payroll taxes. It’s cleaner, easier and definitely less subject to interpretation to write a check if the amount is minimal as in this example. A cancelled check is independent evidence of your payment for the asset at the time you wrote it. If you are in this situation, you are not alone. Paperwork is not top of mind for most early stage companies. However, timing delays are not your friend in this matter. If you let this matter linger without formalizing it, you may find yourself bringing up the issue of undocumented commitments when you are talking with investors. This is a very awkward time to have these discussions; and worse, once a term sheet is in play or even under discussion it is impossible to “back up” the value to the original value at formation. If you have waited until you have a premoney term sheet of say $3,000,000 to document your 20% interest you now have an asset with an outside value of up to $600,000 dependent on the type of equity you are raising. That is not a financially positive picture for you personally relative to taxes on receipt and it certainly wasn’t the deal you signed up for in the first place. You can also find yourself without vesting credit for time that you have worked or without the players in the deal that made the original verbal commitment to you. Don’t let this happen. Work with a lawyer who understands company formation, founder’s stock, and shared early equity issues. Take the time to document these arrangements early in the life of the company. Make sure you follow the process all the way through to making payment for your stock and receiving your stock certificate. Invest the time upfront to avoid headaches or worse at a later date. Many see their competitors as the anti-Christ and keep their distance from them at all cost. When they encounter them in the business community they are civil, but they do not invest any time to cultivate a relationship. They don't want to. Not getting to know your competition can cause you to miss a number of great opportunities to expand your career. When my wife, Sara, worked as a sales manager for Hyatt Hotels she and others in her industry were all active participants in a local hospitality industry association. By getting to know those in similar jobs many of them reaped the benefits. Give and received referrals back and forth. This was common in the industry when one hotel would be sold out for a date that a potential client needed. Being able to refer directly to another local property insured that the customer was well taken care of in fulfilling their needs. By doing this everyone wins. The client gets satisfaction, the person who got the referral wins new business, and the person who made the referral builds their relationship with everyone. When someone would make referrals the others would reciprocate at a later date - what goes around comes around. Building a reputation with others in your industry can set you up for new and exciting job opportunities. When a competitor has an opening, they will want to fill that position with someone who they know, like that has a good reputation in their industry. If you have invested the time to make friends, you will be on the top of their mind, which could mean a better future for you. The flip side of this is that if you company needs to make a strategic hire, you will also know whom is the best in town. Already knowing someone makes the hiring process easier and more streamlined. Industry knowledge is often shared by others in your same line of work. I am not talking about company secrets (although sometimes people have big mouths! ), but instead just tips and trends that will help your company make decisions in planning that can boost the bottom line. Often competitors in certain industries will be open with each other about what they are seeing in the marketplace. If you are not connected, you will be on the outside. Additionally, when you competition is having internal issues, your friends on the inside will begin calling you looking for jobs, and this too can be valuable information. If they don't know you, they probably wont call until they are out of work. Take the time to reach out to others in your industry and you might find that you will unlock great opportunities for you and your company. Be careful of the information you share, as you do not want to be the one who has the "big mouth" revealing sensitive information to your completion. However, you can be a resource for them and turn them into a valuable asset for your future! This week we had a great interview with John McCrea, VP of Marketing at Plaxo. We discussed the Open Social Web. John is an industry expert with amazing expertise in the online world. This interview is informative, entertaining, and downright important to listen to for thirty minutes. "The party is over for the old media, and just beginning for the new online media". The growth of the open social web will just continue to grow as more and more companies avoid being "walled gardens". Portability and transparency are the name of the game! McCrea and Plaxo believe that this is the future. I have also added John to my blog roll, so you can click over to read his blog. "Our Goal...Service In Five Minutes or Less!" Ummmmm, I go to the post office often . NEVER have I been served in that time frame. Maybe if I arrive right when they open the doors early in the morning, but most of the time I take a number and wait. Then I wait some more. I have come to expect this as just part of the deal to mail a package. I don't complain, as the USPS does a great job of delivering the mail. It amazes me everyday that all the letters, magazines, bills, and junk mail successfully finds its way to my home. For 41 cents I can send a handwritten note to anyone in the country and it always arrives. This is a great deal (see yesterday's post!). However, customer service and a sense of urgency inside their stores is not the reputation of the post office. That's okay, it is just life. However, I was angered that they had these signs about a fictional goal of getting me to the counter in a reasonable amount of time. While I waited for 28 minutes to have my number called I just kept thinking about the expensive marketing firm who sold the executives at the USPS on this campaign. I am sure they made six figures in fees while the campaign is all BS. "Our Goal....Service In Five Minutes or Less! But you know there is not a snowballs chance in hell we will meet this goal. Have a nice day!" "Our Goal....To have fake slogan about our lobby wait times that is so far from reality that it makes you even more angry that you would have been without this sign". Yes, they have the one automated machine....but the I was mailing two heavy boxes of books (sixty copies of "Some Assembly Required") and the machine does not offer "book rate", so I had no choice but to wait in line. The lesson in this for me is to beware of making promises that I cannot keep. There are some things that I am great at, and other areas where I have room for improvement. While I strive to improve on my weaknesses, I must carefully not to promise others more than I can deliver. I was riding my bicycle today down to Upper Crust Bakery to meet my wife for lunch. When I parked my bicycle and was locking it up I heard a three young professional having a good laugh. They had just been to some kind of meeting where they were told to follow up with every new contact by sending a letter. The response was that is ridiculous and could you imagine the cost of the postage!! The most important tidbit I have gotten from your seminars and books is to follow up with a hand written note. This made me laugh all day long. These three young professionals are concerned with the cost of a 41 cent stamp. Their conclusion is that it would be better to let the contact wither away into never-never land than invest a few dollars a week in sending follow up notes. Most people who I have encountered who balk at the thought of sending handwritten follow up notes come up with all kinds of ridiculous excuses (although this is the first time I have heard anyone say that the cost of the stamp was prohibiting their efforts). Usually people are just lazy and hope for a magical connection to catapult them to immediate symbiotico with the new folks they meet. Sorry, building business relationships takes effort. Sitting around a bakery mocking the ways to success will get you nothing but a butter croissant. I just read this on the Austin Start-Up Blog: A new survey by Scarborough Research, the leading local market research firm for identifying consumer and retail behaviors in the United States, finds that Austin, TX, Portland, OR, San Francisco and Seattle are the top markets for people who read or contributed to blogs. The report finds that 15% of Austinites have read or contributed to blogs in the last 30 days. That puts them well above the last city on the list, Pittsburgh, PA where only 2% of adults have recent experience with blogs. These top cities have both tech-savvy and youth in common, with 37% of Austin adults being between the ages of 18 and 34, and the technology business community is a centerpiece of the area's economic growth. To achieve greater success with your career, stop making excuses and take ownership. To have great opportunities appear in your path, you have to take control and make sure that you are headed in the right direction. I know many people who are just going through the motions of life without any direction. Imagine if you were getting onto an airplane in Los Angeles bound for Honolulu. Would you want the pilot to take charge and have know the route or just take off and point the plane west? To fly west might get you to Hawaii, but there is an awful lot of blue water down there, and when you run out of fuel there might not be a runway if the pilot was not in control during the whole flight. The same is true with your life. Each day you drift along without focusing on your future, you could be getting more and more off course. Eventually many who do this give up on finding their destination altogether. Embrace each day as a chance to have an impact on yourself and those around you. Take actions that make your world a better place and which will help bring you closer to your ultimate goals. Ask yourself each night before you go to bed what happened in the previous twenty-four hours that was positive and think ahead toward the next day as you plan for your tomorrow. 1. Having a clear plan of what success looks like is the first step. You need to identify your own goals and aspirations. Now write them down and make them real in your mind. Know in your heart that you have the unique capabilities inside your soul to live these dreams. 2. Every time you are faced with a decision, ask yourself which choice will lead you closer to your goals. The advantage of having defined goals is that it makes it easier to answer the hard questions. 3. Take action. Do not just dream about your achievement, but instead achieve. Everyday you must discover an action that is a mini-victory in your quest. Add up a year's worth of mini-victories and you have a huge success. Nobody can do this for you. You cannot ask your executive assistant to improve your life. You must decide on the steps that will lead you toward making your career one of fulfilment. We spend too much time in our jobs not to be happy. You have the power to create happiness or make a move to a new position where you are better suited to excel. There are more opportunities around you than you probably realize. Grab them. Many people I talk with have no idea what is Twitter. Some that do think it is a waste of time. Then there are those who live and die by this website called Twitter. Only two years ago many had not heard of the blogosphere, and now it has become mainstream, so just because some don't "get" the expansion of Twitter, does not mean it is not an interesting tool. Although my Twitter community is very small (I am selective to only follow people whom I know or admire from afar), and I do not check it often (nor do I forward it to my phone, which is an option), I have learned some interesting things from the cool folk on my list. Plus it is a great study in how people connect in the world of social online media. Click here to read an article by Shelia Scarborough on ProBlogger.net that does the best job I have seen at explaining Twitter. Also, Steve Lubetkin pipes in with how Twitter rocks his professional life. Click here! Additionally, the LA Times is reporting on the details of the LA Fires on Twitter. Hmmmm, interesting. Even the LA Fire Department puts info out on Twitter. Consultant and writer Marshall Kirkpatrick says Twitter pays his rent! And lets not forget presidential hopefuls....they Twitter. Here is John Edwards Twitter. So if you did not know about Twitter a minute ago, or you did not think there was any validity to Twitter....I hope you see it is something. What I am not sure, but it is something. You heard it here first (or maybe not). 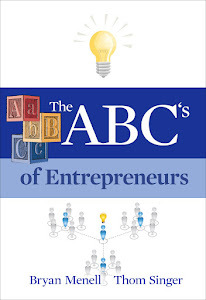 Author Tim Sanders calls people who think abundantly "Big Pie People". These people see the world chalk full of enough opportunity and that everyone can have a slice. I love the imagery. When you are working to build your reputation in your business community you will encounter people who are all over the map in their journey toward personal and professional success. Some of these people will seemingly have their act together, others will resemble a lumpy lump of clay, but all can use your assistance to achieve greater heights. The choice is yours as to how and when you want to jump in and make a difference in allowing others to excel. If you are a "small pie person" then you will not look for ways to help people reach their goals. Oh, maybe you will if you can see a personal pay-off for yourself, but "small pie people" are always ensuring their efforts are aligned with their own needs before taking action. These people only want to help themselves, although they may act as if they are really giving to others. "Big Pie People" like to give of themselves because they are confident that other's success does not take away from their own opportunities. In fact, they love to see others achieve. They take pride in being the catalyst that sets others into an orbit of victory. "small pie people" secretly try to derail others. The funny thing is that "Big Pie People" are the ones who always seem to get the great opportunities handed to them. This irritates "small pie people", who are convinced that there is some conspiracy and "good ol' boys network" that is limiting their chances for the brass ring. The truth is that everyone instinctively knows who is only looking out for themselves, and sour on these selfish folks quickly. Then they joyously share the goods with those who are givers. ***Note, the below post is also the subject for this weeks "Some Assembly Required Radio Show". Robert Scoble had a post on the Scobleizer Blog last week asking (actually quoting Evan Williams) what would a social network with only ten members be like? Scoble cringed at the thought. He did admit that a family is a lot like a micro social network, but one could tell that Scoble, who has one of the largest online social networks in cyberspace (He has so many members that his Facebook friends list is full) could not imagine being limited in whom he has in his circle. However, not everyone can manage GIANT numbers like Scoble, who is successful in finding ways to connect with his thousands of online social contacts. Most people top out at being able to interact with 100 - 200 people and actually have some kind of relationship. It takes time and dedicated "give and take", not just random digital links to have true connections. Scoble will actually respond to those in his social network and read their stuff on blogs and twitter if it trips his interest. He has read my blog and sent me emails and twitter-grams from time to time. While I have never met him, he does practice what he preaches in regards to social networking! As for a network of only ten? I think that depends on who are the other nine people. Some have great success focusing on very small numbers of committed friends. Think high school….I had a large group of friends, but some had just one close friend. Neither is the “right” answer, as many who had small circles had great times with amazing friends in school. It is not right or wrong….just what works for the individual. The problem with these online social networking and new media sites is that everyone thinks their way of using the tool is the best way. Many are about quantity of links, others are focused on quality of relationships. Time will morph all of this (things change fast on the internet), but for now it is all too new. If you can have a group of then that meets your personal and professional needs, then that is the right number. Finding one person who can fill your world with phenomenal opportunities is enough to change your life! Networking is not about the "right" number of people in your network, it is about finding the right people who will make a difference in your life. Often times in business we see people who go negative about their competition or specific individuals whom they know in the business community. I am always shocked when I encounter people who directly say or imply unprofessional comments, but it happens every day. Disgruntled former employees will often say unfavorable things about their former companies for years to come, making themselves look petty to those who hear them. Somehow they do not realize that nobody really wants to hear about their past problems and gossip. Smart people fear these negative nellies because they know they could be the next target of smear. Otherwise moral people will undercut the reputation of their competition for their own personal gain in selling situations. Again, they think that dark comments about other businesses in their industry will make their own company look better. It rarely does (except with others who love gossip). Sometimes a person will decide that someone else in their business community is annoying and will talk about them poorly on a regular basis. Think junior high. These people have not mentally matured and still see the business world as under the same social structure as they lived in adolescence. I am amazed at the elitists who judge others regularly in networking situations. It is not abnormal to discuss others, it is part of human nature. Yet you grandmother was right when she advised "If you don't have something good to say, don't day anything". People will remember if you are spreading gossip or trying to harm another's reputation. Additionally you never know whom might have a strong relationship with the subject of your smear. I have a friend who is a successful and somewhat famous entrepreneur. I recently was in a conversation where someone started to "go negative" on this person. Rather than allowing the comments that were obviously about to come forth I interrupted and announced "before you say anything, you should know that person is one of my close friends". This negative talker still shot out a sharp tonged slash, but quickly walked away. After she was gone everyone else in the crowd laughed and told me not to take it personally that this person never has anything nice to say about anyone. Ahhhhh, so people do notice when you bad mouth others, they notice that you cannot be trusted, and tell people. So beware. When behind closed doors with your spouse, best friend or coworkers you can say whatever you want (although I still suggest you don't lean toward the negative on a regular basis), but when in the public business community try to find the good in everyone....as it will reflect better on you. Before a reader decides jump all over me on this issue....I am only human and I make the same mistakes as others. But I try to stay "above the line" and not talk negatively about others. When I catch myself having gossiped or saying something harmful, I acknowledge it and try to be better next time. I also try to identify positive qualities in everyone, even people I do not personally like. Nobody is perfect, but we should strive to get better on a regular basis! Imagine spending years wearing clothes that did not fit. Each day when you get up you step into a suit of clothes that belong to someone larger or smaller, and all day long you find yourself tugging at the material that is riding up and chafing your skin. When you walk down the hall you need to roll up the pants and to sit would require you to unzip the pants, so you uncomfortably stand the whole time. Nobody would do this, but millions of people go to work every day in jobs where they are not the right match for the culture, skills, requirements or schedule. They are in the wrong sized clothes, but they put up with the misfit rather than taking actions that could forever change their life. I had a conversation with a friend today who admitted to remaining in a job where he has been for over a decade and hates the management because it pays well. He clearly does not wake up each day and smile at the thought of serving his employer. His dreams and aspirations are not on the same track as his daily routine. He disparately desires clothes that fit, but he puts up with the chafing anyway. Finding that job where the company's focus and goals match up with your talents is like putting on a tailored suit for the first time. It fits. You know it immediately. You feel the quality in the material and you stand taller. Your smile sends a clear message to the world around you that you have arrived. You are "home". Finding a career fit is not easy. Sometimes you have to try on a lot of jobs so that you know the difference between right and wrong. This can have a stigma to some (job-hopping)....but you should view it as earning your own personal MBA, making sure to learn something important with each move you make. Always work hard and do your best, and never cower to what others think when it is time for you to move on to something better. Never give up when you feel lost in your career and encourage others who are lost in their work life to seek more. That right fit is out there, and the universe rewards those who continue to seek their right place in life. 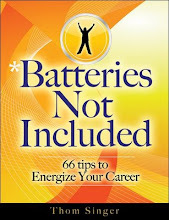 Do not feel stuck in a miserable job with people who do not "get" your special talents and contributions. When you find a job that matches your uniqueness, you will know it and you will drive home thinking about ways to contribute to the company's success tomorrow. When the clothes fit you well, you want to wear them all the time! ****Please purchase a copy of my books at Amazon.com. Thank you. Yesterday was my monthly Leadership Austin meeting, as I am a proud member of the 2008 Essentials Class. This is an amazing group of local leaders from around Central Texas, and I am honored to be involved with this years program. Our assignment was to complete a "This I Believe" style essay. Based on Edward R. Murrows 1950s radio show of the same name, "This I Believe" is a national media project engaging people in writing, sharing, and discussing the core values and beliefs that guide their daily lives. NPR airs these three-minute essays on All Things Considered and Weekend Edition Sunday. I am not sure that piece is good enough to be selected for the radio show, but I submitted it anyway. Below is my essay. I hope you enjoy reading it as much as I enjoyed writing it. Opportunities come from people. This is why it is important that each soul embrace the power of having a network of diverse and amazing contacts, while creating mutually beneficial relationships. Sometime I get shy or apprehensive, washed with a feeling of inadequacy that holds me back from reaching out to other people and attaining my potential. Yet I know in my heart that people instinctively want to feel connected to others at their spiritual core. They want to know me as much as I want to know them. Those who are comfortable with their own success, (be it financial, spiritual or otherwise) are never jealous, instead they find joy in being the catalyst that lets others soar to greater heights. Endless opportunities await those who know that the world is intertwined and larger than what is in their circle of vision. Life is a process and discovering the right mix of people who will assist you in your journey toward achieving your goals is as important as the goals themselves. Professional speaker and success guru Jim Rohn says “you are the average of the five people that you hang out with the most". Wow, that is powerful. When I ponder this thought I am reminded of how easily we are influenced by others. I am the man who I am today because of the experiences I have had and the people with whom I have shared these milestones. While I have witnessed that bad things do happen to good people, I have also seen how adversity can bring out the best in people. When my youngest daughter, Kate, was diagnosed with a rare medical condition that required her to undergo massive surgery to reconstruct her skull as an infant, we thought our world was spiraling out of control. However, I was forever impacted by the people, friends and strangers, who appeared around us to provided us with a foundation to carry forward. These people provided information, referred doctors, gave us airline tickets, donated blood, prayed, and sent us the good vibes that helped us through this horrific event. Five years later, Kate is fine. She has no medical side effects and is both beautiful and intelligent. While she has no memories of her surgery, her mother and I will never forget that time in our life. The people who were there to help us were gifts from God, and we now know that no person is an island. We need each other. There are times when we receive the love and assistance of others, and there times when we give that support. While you cannot always directly repay the same individuals who impacted your world, we all succeed when we follow the example of the movie “Pay It Forward”, and take those gifts and pass them on to the next person in need. I hope that I am a person who lives by this philosophy and gives as much or more than I take. We need people. This I believe. A few weeks ago I was interviewed by syndicated columnist Anita Bruzzese for her weekly "On The Job" column that is featured in newspapers around the country. We had a delightful conversation, as she fully grasps the power of business relationships. Bruzzese has utilized her own network of professional contacts over the course of her successful twenty years in journalism. The article has run in several papers around the United States. My friend Jason Alba is sending me a copy from Sunday's Salt Lake City Tribune! It is a great article, please take a moment to read the whole thing and I welcome any comments that you might want to leave on this blog. You show up at an industry event, business cards in hand. In the space of about two hours, you've handed out dozens of cards, met lots of new people and shaken so many hands you think you may have developed tendinitis. In the next couple of weeks, you send a blizzard of e-mails to your new business contacts, pitching your product, asking for referrals and even making some forays into requesting investments in a startup project. You're just the kind of networker that makes Thom Singer groan. "You don't propose marriage on the first date, do you?" Singer says. "It's the same with networking. You're supposed to share experiences and get to know people - to find a mutual trust and respect before trying to get something from them." Singer, a networking guru and author of two books on the subject, says that too many people think that networking is just an opportunity for them to further their own ambitions, a sort of "it's all about me" mentality. And, he adds, online networking has made the problem worse in many ways. "Online networking is a tool, just like wearing a nametag is a tool and having a business card is a tool," Singer says. "It's useful, but the problem is everyone uses it differently, and they criticize anyone who doesn't use it the way they do." Singer himself recently experienced someone being upset with him because he declined an online network invitation through LinkedIn, simply because he believed he didn't know the person well enough to serve as a connection. But others have argued that the whole point of online networking is to connect with people you don't really know. "Online networking is useful and it's not going away, but it's become a real tug of war," Singer says. "It's growing so fast that it's growing without rules, and there's no one really policing it." Don't be a dive-bomb networker. This means that swooping in on people, jamming a business card in their pocket and swooping out again is not effective networking. You must make a genuine connection (ask questions about what they do, how they do it and what mutual interests you have), then follow up with a phone call or e-mail in the coming weeks. Singer says it takes seven to 10 interactions before a real connection is made. Do give more than you take. Singer says that a good rule of thumb is that you must give three times as much as you want. Be patient - it usually takes time to make a real connection with someone. Do know when to quit. If you're giving and giving and getting no real response from a contact, then it's probably time to move on. Don't take it personally, since many people may have the contacts they already need. Don't be rude. Singer says that even if you decline an online invitation to connect or don't feel comfortable with someone's efforts to network with you, "always obey the social conventions and be polite." Do know that networking is mutually beneficial. "A lot of people are self conscious about networking, but you should always remember that you bring something of value to the table," Singer says. "You make a connection with someone and you learn one another's strengths and then you are able to articulate that to other people. You become an evangelist for the other person, and vice versa. It's a matter of having mutual respect for one another, so you enjoy singing one another's praises." 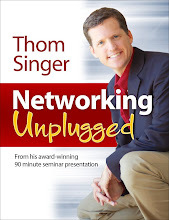 If you're interested in more information on how to be an effective networker, consider reading Singer's book, Some Assembly Required: How to Make, Grow and Keep Your Business Relationships (New Year Publishing, $21.95), or check out his Web site at www.thomsinger.com. And, for more on networking, join the blog discussion at www.anitabruzzese.com. On Saturday night Chris Isaak rocked a nearly sold out crowd at The Backyard, a great concert venue here in Central Texas. I will begin this post with the honest confession that I only went because my wife and her best friend wanted to attend, and I was being a good husband. I had no idea that I was in store for one of the best rock 'n' roll performances that I had ever seen. Isaak and his band are true showmen. They have talent, but talent in the music business is not uncommon. They had a stage presence that was both as rare as it was delightful. The California born Isaak played to the Texas crowd in a way that few from the Golden State can. Playing up the Panhandle birthplace of his drummer, the lead singer became "one" with the audience. Wearing a bright pink suit with sparkles you could not miss him on the stage, and on his third song he jumped down an wandered through the audience singing a love song directly to the women all the way in the back. He had them at hello! An eclectic mix of ballads, country, blues and rock...they provided something for everyone and had the people on their feet for most of the show. His own material along with a sprinkling of Elvis, Roy Orbison, Cheap Trick, and others along with the bands choreographed moves were as entertaining as anything anywhere. When he returned for the encore wearing a suit covered in hundreds of one inch mirrors the crowd went crazy screaming for more of the man the band called "Mr. Hairdo". The evening was more than a concert, it was an experience. Every couple of songs the band was repositioned on stage and Isaak allowed each of his team the time in the spotlight, giving them a chance to show off their collective and individual talents. Isaak's self-deprecating banter with his band and the crowd was more than just an "act". This guy was having a great time on stage with his friends (the band has played together for twenty years) even though they are not in the last week of a long national tour. They knew exactly how to excite and make those watching more than spectators. There is a lesson here for business. Is your company, law firm or other organization just another cover band doing the same things as everyone else in your industry. Sure, you have quality products and service, but if you are not making your customers say "WOW", who cares? You can and should put on a spectacular "show" for your clients every time you have an interaction. Make sure that your passion shines through. You don't need a pink suit and mirrored pants, but you do need something that makes you stand out. Isaak joked that his older brother told him in show business he would need either talent or sparkles, and suggested he get some sparkles. The truth is that Isaak has both, and you company needs a little "sparkle", too. 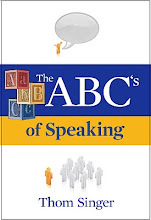 This week on my Blog Talk Radio Show I talked about "Tips For Being A Better Public Speaker". Austin Technology Community Gives Back! Over 200 volunteers from Austin's top technology and service companies joined forces on Friday to participate in the Entrepreneurs Foundation of Central Texas Fall Service Day. Twice each year the Entrepreneurs Foundation member companies come together to donate their time and hard work to help make major improvements to the greater Austin community. Rodriguez Elementary School in South East Austin was the recipient of the Extreme Make Over style efforts of the local technology industry volunteers. Over 100 trees and other landscaping upgrades were made to the school in addition to the creation of 16 raised vegetable garden planter boxes. 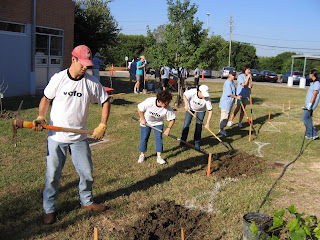 Employees from Dell, vcfo, Wayport, Comerica Bank, Newgistics, SigmaTel, DLA Piper, Austin Ventures, and other local tech focused businesses pitched in to help beautify the school. AISD Superintendent Pat Fogione was on hand to inspect the work and thanked the volunteers for their hard work while they enjoyed a Texas BBQ lunch. Sighting public education as the most important invention, he praised the crowd for their investment to improve the atmosphere at Rodriguez Elementary. I personally am not a big fan of doing yard work (especially in the hot sun), but I was thrilled to participate in this Service Day. It was amazing to see how much progress could be accomplished in five hours when so many talented people work together. I now understand how Ty Pennington and his crew accomplish so much on their weekly TV Show. The Entrepreneurs Foundation of Central Texas is a phenomenal organization that has been a driving force for good in the Austin community since 1999. The member companies donate stock options and man hours for the philanthropic cause. The tech industry's community involvement makes Austin a better city for everyone. A trade show can be a great opportunity to meet and reconnect with key people in your industry. Everyday around the United States there are countless trade shows and conferences taking place where people gather to listen to industry experts, roam past exhibit booths, and network over cocktails at the closing happy hour. A trade show involves a lot of pre-planning for those companies who exhibit, but there should also be preparation for those who simply attend. Most of the time, however, attendees just show up without any forethought on what they want to accomplish from their investment of time at the event. 1. Know in advance who will be at the show and which speakers you want to hear. Too often people miss the programs of highest interest because they did not look at the schedule in advance. Think about whom you want to see while there. Call key contacts in your industry and find out if they will be attending. Set up lunch or drinks in advance so that you can be sure to meet up with them while at the show. Finally, scan the list of vendors who will have booths so you know can pre-plan how much time you need to allow for wandering the trade show exhibit hall. 2. While at the trade show be sure to talk to people. For some reason people walk the floor of a trade show like they were a cast member in the movie "Night of the Living Dead". Don't be a trade show zombie, but rather grab the opportunity to meet new people and chat with those you already know. Make eye contact with the folks in the booths. Yes, they want to talk to you....that is why they are there. 3. Follow up with everyone immediately. The mistake people make in all networking situations is that they fail to connect with people because they do not follow up. If you do not reach out to those you met in a timely manner it is an opportunity lost. A short handwritten note recapping your meeting is the most effective way to follow up, but an email or a phone call can also be effective. However, if you do not follow up within three days, then you run the risk of being forgotten forever. Having a system for pre-planning, attending and following up will make your trade show experiences more effective. Win An I-Phone At A Trade Show,... yeah right! While attending the InnoTech trade show in Austin, Texas I was amazed at how many companies were luring people in with the give-away of an i-pod, i-phone, or other cool gizmo. I must have dropped my card into a dozen such fish bowls. Now that I am back at my office, I am not going to hold my breath that I will win anything. You see, the dirty little secret for most of these exhibitors is that they have no plan of conducting a random drawing, but instead they will select the card of the prospect they most hungrily want the chance to see again. After all, who wouldn't take the appointment to get a free i-phone? I think most attendees think that all drawings will occur with a total commitment to fairness for all who dropped a card. WRONG. One company I talked to all but admitted they will not be doing a random drawing. They have bought into the "everyone does it this way" theory, and thus the ethical dilemma seems insignificant. Even thought their sign clearly stated "Drop your card for a chance to win an i-pod". Yes, a "chance".....similar to that opportunity the proverbial snowball has in hell. Maybe the sign should read "Drop your card in the fishbowl so that we can capture your contact information and add you to our mailing list. Additionally, if we think you are a the best prospect to come to our booth, we will call you in a few days and entice you to meet with us so we can give you a $200 piece of electronics with the real intent of selling you stuff. The rest of you have no chance of winning, but you will get our useless newsletter forever and ever". Hey, at least it is honest! Many people work toward building a strong network of professional contacts to help advance their career. They invest the time and energy to cultivate relationships that can lead to referrals and other amazing opportunities. When the new business comes rolls in they celebrate until the cows come home. They immediately jump into servicing the new customer. The work load takes all their attention and they quickly forget that this new client came from a referral. While they had great intentions to say "thank you" to the person who made the referral, once some time passes the immediacy to properly express gratitude begins to dwindle. Many people that I talk with rarely follow through on the "thank you" step of networking in the manner that they intend. They get busy and too much time goes past. I recently talked to a friend who had gotten a great new job through a referral. She immediately took the steps to thank the person who helped her. She hunted around for a cool and trendy new restaurant and purchased a $150 gift certificate and delivered it to the person who made a difference in her career. I recently counseled a legal marketing professional who was looking to make a job change. We met for coffee and discussed her situation. Two days later I received a $15 Starbucks gift card with a handwritten thank you note. Wow, that was unexpected and classy! Another friend made a referral that lead to a $15,000 commission for the person who received the business. There was never a "thank you" made at all. Ouch, that hurts. How do you say "thank you" to those in your life? Do you make it a priority to act on your intentions of appreciation in a timely and appropriate manner? Being busy is no excuse. If you want to continue to see your referral network expand, you need to honor those who take the time to impact your life. Be creative and generous with how you say thank you, but most importantly, be timely. One never knows when you are helping others in your network of professional contacts. Sometimes a casual mention of a person, company or a product is the catalyst for another person to better their situation. Just wanted you to know that I have contacted [The Goldwasser Team Real Estate] about a possible listing of my home we have for sale in Round Rock. I recall you mentioning his name in the past. Just wanted you to see the loop close on another example of the network in action." This email made me smile. One good friend of mine is reaching out to another good friend of mine to conduct business. If he hires him, he will receive great service. Everyone wins! While I do not get any direct benefit from helping facilitate this connection, I win too. The person who sent me the email understands how important networking can be in the decision to do business with someone, but also realizes the importance of closing the loop and telling me about his actions to contact this company per my recommendation. Networking can only reach the most powerful levels when you share information with others, but it also requires them to share back when they take action to follow your advice. If he had never told me about his contacting The Goldwasser Team, I would most likely never have known about this example of "networking in action". I was interviewed for the national podcast "Beyond Networking with Ron Sukenick". This was a wonderful interview and I loved the energy that the show's host brought to the conversation. Please take thirty minutes to listen to this discussion. I am proud of this interview. It is a body of information about the power of a network that will inspire you while challenging to make you think. 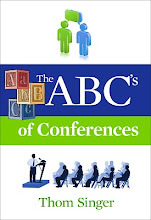 Dan Janal, a PR-king-of-the-world, has a website that highlights a variety of great books. 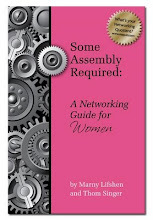 Today's Cool Book Of The Day is "Some Assembly Required: How to Make, Grow and Keep Your Business Relationships". That was a nice surprise to wake up to that announcement from Dan. If you have not yet read the book, now that you officially have proof that it is "cool", take a trip to Amazon.com (or if you live in Austin, you can swing by BookPeople) and get your copy. Be sure to buy the "Second Edition" (red cover). There are a lot of people who long to love their work. They wish that they had the passion seen in those people who are living their life's calling. We spend so much time at our jobs that it is a tragedy to just going through the motions. Everyone deserves more than just "blah" in their career. I know, I have been there. I have had jobs that I have loved, and jobs that I have hated, and worse yet is being stuck somewhere in between. The real curse is to have had a job that you loved, and then for whatever reason, to not have that in your life anymore. Once you have had that powerful spark for your vocation, nothing short of that will be satisfying again. I once worked for a company for two years where I never felt that I fit in. It was a great company with very professional people, but I never believed I was part of the team. The funny thing was I never hung my pictures on the wall. At my current company I put the art up on the second day. It just felt like home from the moment I arrived. Our society has long looked down on people who change jobs "too often", but I have never understood why someone should stay in miserable situation just because of what others might say. Should someone skip a great opportunity because of how it might look? If you are not in the right place, move on. Today's twenty-somethings realize this, as Generation Y will not put up with sour workplaces and lack-luster corporate environments. Much is written (by Baby Boomers) calling these young professionals "self-absorbed", "lazy" and "spoiled", but the reality is that these kids want to have meaning in their lives, and they are not willing to settle for less. They are "seekers" looking for that spark that will fulfill them inside their soul. Never settle! There are some who counsel to put your energy into the bad job and find your enjoyment elsewhere. But human beings are not built to compartmentalize, like it or not we are a whole package. When we try to stuff our emotions, feelings, and true beliefs into a corner, we tend to get out of balance. This leads to more problems. You have to be true to yourself. An entrepreneur with 100 employees in her company recently told me that the future for employers is to discover and embrace the passions of those who work for you and then help them achieve their life's dreams. Sure, these aspirations might take them away from your company in a few years, but in the meantime you will have very dedicated and inspired personnel who will work hard to see your company thrive and succeed. Two Deloitte executives, Cathy Benko and Anne Weisberg, have released a book called, "MASS CAREER CUSTOMIZATION: Aligning the Workplace with Today's Nontraditional Workforce" (Harvard Business School Press) that is dealing with these new realities of careers. I have not read this book, but like the premise that people are no longer on a career ladder, but rather on a career lattice. This concept accepts that people will move up, down, across and diagonally as they progress through their life and career. They will enter and leave organizations and companies will actively participate in the conversations of individuals career aspirations. The interesting thing about a career lattice vs a career ladder is that there are lots of ways to reach the top, and plenty of room a the top. The ladder is limiting for everyone. Don't forget, your network is your ticket to career success. The people whom know you best are the ones who can help you identify and vet out opportunities. Do not climb your lattice alone, as there are lots of people who are pulling for you to reach the top. The turn out for the conference should be great, so it is a good chance if you live in Austin and work around the tech world to do some networking. Information and registration at www.innotechaustin.com. A limited number of complimentary passes are available. Please register at www.innotechaustin.com. Yoga, wine-tasting and opera is not what fills my memories of being in a college fraternity. This article was sent to me by a friend , and it made me grimace. The picture that accompanies the story on the MSNBC page shows a group of guys in their 8 AM Yoga class in the basement of their frat house. To begin with, when I was in college nobody was awake at 8 AM, and there was no way anyone would want to lay down on the basement floor. Granted, the Beta Theta Pi house at San Diego State University did not have a basement, but if it did I can promise you the floor would have been gross and not fit for humans to do yoga. Yes, I went to a "party school," and there was no way we would have been listening to opera (look up the definition of "Party School" in the mid 1980's and any reputable source will say "see SDSU"). But fraternities are not just about the stereotypes of the parties. It was, and is, much more than that in my life. I am proud of my membership in Beta Theta Pi. Yes, we had our share youthful idiotic things that give frats a bad name, but at the same time we did have a real experience of brotherhood. I feel very fortunate to have been part of this group of men, most of whom have gone on to create amazing careers, loving families and inspiring lives. To this day a week does not go by that I do not have contact with someone from this time in my life, even though I now live 2000 miles away from California. Both of my kids god-fathers are my fraternity brothers, as they are role models whom I am honored to have involved with my children. I am not sure of the purpose of this post (I usually try to have some deeper meaning in my writing that could inspire the reader), but it did make me smile to think of some of the good times we lived at the Beta House. The leadership opportunities helped me learn and grow, and the active social life was just part of the tapestry that has been weaved together to make me the man I am today. The good and the bad, the wild and the educational....it all shaped me for the better. At 41-years-old I prefer wine and cheese to cheap beer. I have been known to attend a Sunday morning yoga class with my wife. But I still hate opera! My advice to the college kids....ah heck, they don't want my advice! "Hello and thank you for calling. You have reached the desk of Mr. BigShot and I am currently away from my desk or on the other line. Please leave a message and I will call you back." Hmmmmm, why say you will call them back if you know that you routinely ignore many who try to reach you? That is a lie. You are telling the world "I am a liar, but it is okay, because I am busy and everyone know this is just how business works". "Hello and thank you for calling. You have reached the desk of Mr. BigShot and I do not answer the phone when caller ID displays a number I am not familiar with. Feel free to leave a message, but if I am not familiar with you (and probably even if I am) I will delete your call." I know this post will ignite some disagreements, but our society has accepted being rude as a normal part of doing business. If someone does not perceive the immediate personal pay-off, they rationalize their full schedule is reason to dismiss. I know a guy who is senior executive for a major company who makes a sport out of ignoring sales professionals. He laughs about it. The irony is that he is always upset that his own sales team has trouble getting appointments. He does not see the disconnect in his views. As the manager of a team of sales professionals he should be open to talking with those who call him....it is karma! I recently had a friend who scheduled a coffee meeting as what he called a "courtesy", as the person requesting the meeting knew one of his co-workers. The surprise was the positive outcome of the appointment and the potential of future referral business. They are planning to meet again, and hope to establish a great business friendship. Had he been one who ignored all who tried to call with him, he would have missed this opportunity. 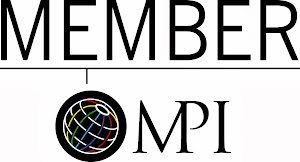 I used to sell corporate sponsorships for special Chamber of Commerce publications around the country. About one in five of the companies I met with participated in these projects. 100% of the companies who ignored me missed the chance. 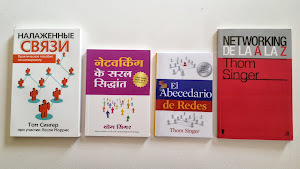 Often after the books were released prominent executives from local companies would complain that they were not part of the amazing, high-profile publication...these were always companies I had attempted to invite, but who would not take the fifteen minutes required to meet with me. They had ignored my voicemails and did not have the courtesy to either call me themselves or delegate the meeting to someone who worked for their company. Once when I was working in St. Louis I phoned the CEO of a large company. I asked to meet with him about the project. He told me that he was very busy, and only met with sales professionals at 6:30 AM, but if I was willing to come to his office at that hour one morning, I would have his undivided attention for a maximum of thirty minutes. When I arrived he informed me that I was one of the few who ever took him up on the crack of dawn meetings. While he was incredibly occupied running his international corporation, he believed that you should always find some time to talk with anyone who called (he said his mother had raised him to always be polite no matter how busy he was with his career). Since he was a morning person he used 6:30 as his open office hours. He found that it separated the really dedicated people who had a strong desire to meet with him. He sponsored the project and taught me a huge lesson. How we budget our time is our choice, and there is always a choice to be polite! Everybody is busy. That is just a fact of life. However, elevating the view of your own self importance to the point where you ignore others will set you up to miss opportunities. Opportunities come from people, and you need to open yourself up to those who come calling. This does not mean you have to buy their products, just hear them out. Imagine if every prospect for your business hit delete to your voicemail.....you would go broke. If your schedule is really so full, then delegate to someone else on your team to gather the information. A returned phone call does not mean you have to take the meeting. Just politely find out the basic details and then make your decision as to granting them an audience. A good salesman would rather you have a discussion and say "NO" then to just ignore them outright. If you do decide to let them in, be clear about your schedule's limits and hold them to that window of time. You just might be surprised about what you will discover! So what is your take on this topic? Leave a comment. This Sunday is the "Bootstrap Your Book" seminar at BookPeople (5th and Lamar in Austin, Texas). 5:00 PM - 7:00 PM. If you have ever thought about writing a book, come out and listen to the panel discussion. Please tell your friends. According to surveys, 87% of Americans want to write a book. There has never been a time like now to jump in and let your inner author thrive. There is no cost, but if you want to buy a copy of my books, that would be very cool. BookPeople will have them both in stock for the event. Knowing people is not enough to lead to the success that is desired. Many confuse meeting someone with having them as part of their network, and mistakenly imagine that there is enough of a relationship to lead to business referrals. Having met a person means little to your future. 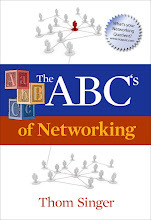 Most that we have met in our journey through life never lead to the type of connections we long for when we think of networking. To develop a true link to another person we must invest time in the relationship and discovering shared interests and experiences. At any one time the people you know are more or less mutually committed to each other. Some that we used to be close to have drifted away, and new friends have filled in these gaps. To keep old relationships alive and active we must tend to them like a farmer tends to his crops. We must cultivate and care for other people and have a deep interest in their future in order to forge solid bonds. I know many people who have invested much time in networking who never reaped any rewards. This is because they confused meaningful human relationships with collecting business cards or digital links online. To find the opportunities that come from knowing people at a level of their soul can only come to with effort. Invest your time in doing more than meeting people, invest yourself assisting others. Discover the goals that populate the hearts of those around you and find ways to lead them toward achieving their success. Do more than meet people. Know people. Help people. Connect people to those who can make a difference in their lives. Revel in the success of others. Be not selfish with your knowledge and connections. Thrive. Friends Are Fantastic, But Evangelist Change The World. Every professional has business contacts whom become their friends. We call many of them by such names as "circles of influence", "referral sources" and "partners". We meet with them for coffee, lunch, or golf and build relationships. We discuss our bonds with these players in our sales meetings and longingly wait for them to send business in our direction. But the truth is that some people are just our friends, they are not evangelists. They like us just fine, but they do not have it their personalities to go the extra step and tell those in their network about the good work that we do to serve our clients. They do not sing our praises. These are good people with great intentions, but they are not going to do more than be our friends. Evangelists are different. These are more than friends, they are the type of people who find their personal joy in seeing others succeed. These individuals in our business networks have amazing passion for not only for their own career, but they thrive on seeing others reach higher levels of success. When they can find a way to lend a helping hand, they do it with no expectation of being directly re-paid. Having people in your life who will talk you up in the business community is a blessing. It is from these vocal contacts that our reputations are made. Now, lets flip this discussion. Look at the people in your business network. Are you an evangelist for them or are you just a friend? Do you search for ways to help others find more business and reach their personal and professional goals? If yes, good for you. If not, why not? When you read the beginning of this post you were excited about having these kinds of angels in your life who would ring bells to tell the world about you. Why are you not doing the same for the ones you know? Being a business friend is nice, but being an evangelist will change someones world. If you wish to attract evangelists into your life, be one! Anita Bruzzese at "The 45 Things by Anita Bruzzese Blog" chimed in with a post about my LinkedIn Rants this week. While visiting her blog I discovered an interesting post about a charity called Hire A Hero. Hire A Hero is designed to help those transitioning out of military service to find a good job. Apparently there are not as many employers who enthusiastically place servicemen and women into their companies. In fact, civilians doing hiring often penalize candidates seeking jobs for their time in the armed services. YIKES, these young men and women are the reason we enjoy the freedoms we have in this country, one would hope they would be rewarded with good jobs when discharged! Read her post and visit the Hire A Hero website to learn more. If you missed my post last Thursday, I was riled up by a stranger who had requested me to link to them via LinkedIn who insulted me when I declined the invitation. I asked for comments and challenged other bloggers to write about their feelings about how to utilize social networking relationships. Wow, this was great. The post got 14 comments as of this morning (15 if you count the one from me!) and my email was buzzing with friends chiming in with opinions. "In the world of business EVERY contact counts. It can link you to a very important prospect, thus improving your business. While I can understand the need to just have people you actually know on your LinkedIn connections, I believe you are missing a wonderful opportunity to meet and connect with people that may not have been there before (-:"
I can see his point, and that of others who share this view. LinkedIn has been especially useful to recruiters, who link to as many folks as they can so they can create a database of potential candidates. (I would accept links from recruiters I have not met, as they trade in connecting opportunities). I just feel that I have no way of knowing whom is a good contact and who is useless without personally knowing them. Thus a lot of links just cloud the diamonds in the pile and thus dull the sparkle of a great network. I still believe this argument of quantity of contacts is like the guy at a live networking event who pops around the room aggressively handing out his business card. His thought is, "it is a numbers game, and if I pass it out enough cards I might actually meet and connect with someone who needs my product or service." If you have networked enough you have encountered this type of obnoxious person who just shoves their card in your hand without having had a conversation and built rapport. This is how I see the stranger with the link request. It makes me feel like a "number" in his "numbers game" where the prize for him to find the needle in his haystack. "Rant Part 2" is not to proclaim to the world that I am right and others are wrong. Instead, I believe each person can manage their LinkedIn connections in whatever manner they see fit. My desire is that LinkedIn works for them as a productive tool. I desire that everyone finds success in this world. It is not a zero sum game, but a "link request" is just that....a REQUEST (not a DEMAND). If someone you do not know (or heck, maybe someone you do know) declines a connection, have class and respect for their views on this subject. Thank you to all who commented and blogged on this topic. Keep the discussion alive and chime in! There are no right answers....but respectful discussion helps us all learn!